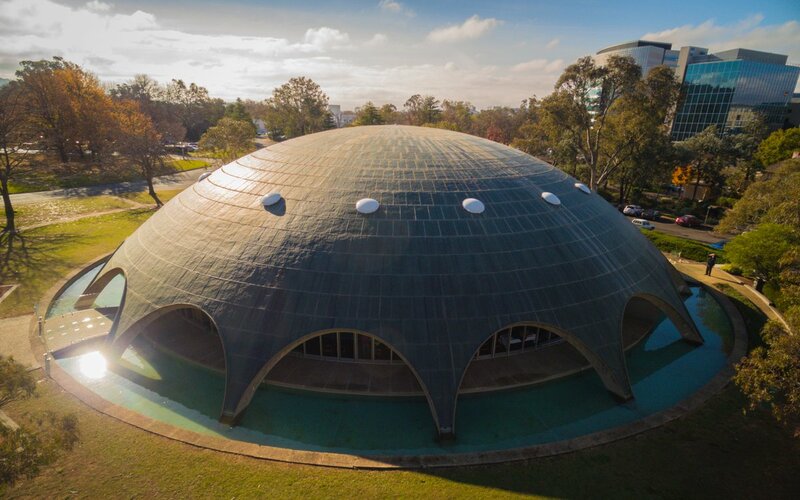 Greetings from the Future Earth Australia Workshop at the Australian Academy of Science's Shine Dome in Canberra. There are about 100 researchers, government and business people here discussing sustainability and the future of Australian cities. I am still not quite sure who, or what, "Future Earth Australia" is, or the workshop is supposed to accomplish. Garrett's The State of Open Universities in the Commonwealth is a detailed 56 page examination of pioneering institutions, starting with the Open University (UKOU), Indira Gandhi National Open University (IGNOU) and the University of South Africa (UNISA). The study then looks at Athabasca University (AU), National Open University of Nigeria (NOUN), Open Universities Australia (OUA), Open University Malaysia (OUM), Open University of Sri Lanka (OUSL), University of the South Pacific (USP) and University of the West Indies (UWI). Other institutions with open access are also examined in passing, including University of Southern Queensland (USQ), which I have been a student of (along with Athabasca). As Garrett notes, these open institutions were intended to increase access and at lower cost, than conventional universities. An apparent trend is that the larger institutions (100,000 to 500,000 students) are growing, whereas smaller ones (less than 20,000) are declining. The report also notes that open university can be a difficult experience for students, especially for undergraduates. Another interesting point is that innovations, such as MOOCs, are not being lead by the open universities. One area the report does not address is the experience for academic staff at open universities. Like students these institutions can be frustrating for the staff. One point the report does not make is that open universities tend to be cooperative in nature. As an example, Open Universities Australia is not a university, but a group of mostly conventional campus based institutions which come together to offer on-line programs. Even OUA, which was created as a separate institution, found it had to call on the resources and staff of existing universities, particularly in the early years. The report also does not address the vocational nature of open university, with students mostly enrolling to get a better job. It is perhaps this, which makes the character of open university different. Also many open universities teach courses which would be considered below university level, at least in Australia. The major problem with this report is that it limits analysis to institution based in countries which are members of the "Commonwealth". It is not clear that previous British colonies have enough in common to form a meaningful group. Also this excludes countries with interesting and important open universities. As an example, the Open University of Hong Kong is excluded, as while it was established in 1989 during British rule, Hong Kong left the Commonwealth in 1997. My reading of this, and other reports, suggest that for a successful open university you need at least 100,000 students and a focus on vocationally relevant postgraduate programs. A good place to start are graduate courses for teachers. Universities are reassessing their teaching techniques and what they teach. Employers are demanding graduates with more work relevant skills and students not from a conventional academic background require different teaching and support. Along with the move to on-line education, this is likely to result in conventional universities taking on the characteristics of open universities. Small, high cost, campus based universities, focused on producing academics, will no doubt continue to have a role, but a very limited one. Just as paper mail and paper money still exist in a digital world, but are of limited use, "campus" universities will exist as a specialized service. The "Higher Education Standards Framework (Threshold Standards) 2015" comes into force in Australia from 1 January 2017. This places requirements, having the force of law, on universities and other higher education providers. One curious aspect of the framework is that it assumes tuition is always in English, requiring institutions to ensure student's: "proficiency in English needed to participate in their intended study" (1. Admission). Also there appears no requirement for proficiency in English for staff. Teachers are required to be qualified in the topic they teach, but need not be qualified in teaching, only needing "skills in contemporary teaching, learning and assessment principles relevant to the discipline, their role, modes of delivery and the needs of particular student cohorts" (3.2 Staffing). This is a far less stringent requirement than imposed on school and TAFE teachers, who are required to have formal teaching qualifications. A report by Boston Consulting Group (BCG), commissioned by TAFE NSW concludes the institution is uncompetitive and the situation will get worse without changes to reduce costs and improve services. The report is "The NSW Vocational Education and Training market and TAFE NSW's competitive position within it" (BSG, 2015). vocational education and training (VET) provider, it is now competing with thousands of private Registered Training Organisations (RTOs). TAFE NSW rates well on the quality of teaching, but lower on job placement and convenience. Also TAFE NSW costs are much higher than RTOs and other TAFEs. BSG suggests TAFE NSW needs to rationalize its campuses and overlapping on-line courses. The consultants also point out TAFE NSW is not making enough of having campuses in Sydney, a very desirably destination for international students. This report should be read by all those interested in Australian higher eduction. There are lessons here for universities, not just TAFE. In Part 2 I decided to teach the undergraduates in a separate course, making it easier to have different learning objectives and assessment from graduates. But what should the learning objectives be for a course in ICT Sustainability? Prepare a sustainability strategy for IT in an organisation, covering both energy and materials use. "The evaluation of the sustainability of operational or planned IT services, devices and day-to-day operations such as travel. ..." From Sustainability assessment Skill SUAS (SFIA Foundation, 2015). Emphasis added. "The preparation of a sustainability strategy for IT, taking into account any established corporate strategy, to be used as a basis for policies and planning, and covering both consumption and sources of supply of energy and materials. ..." From Sustainability strategy, Skill SUST (SFIA Foundation, 2015). Emphasis added. The difference is that at level 7 cognitive skills are to be "well-developed" and at Level 9 "expert". At level 7 the student will "analyse and evaluate" information, at level 9 "critically, reflect on and synthesise complex information". to complete a range of activities. This is the second of a series of posts on producing an undergraduate version of an on-line masters course on green ICT. In part 1 I looked at the genesis of the masters course in 2008. I had assumed that I could simply change the postgraduate assessment criteria to produce an undergraduate version to be co-taught. That is, the postgraduate students would be in the same class as undergraduates, using the same course materials, but doing more advanced versions of the assessment tasks. However, the more I looked at this option, the harder it got. As well as having to have separate learning objectives and assessment criteria for the two cohorts of students, there are additional administration processes to deal with co-taught courses. With a face-to-face course this additional administrative work is worthwhile, as then only one series of lectures is needed for all the students. There may also be some education benefit for the students to be mixed, but this can also be a source of frustration. It occurred to me that there are few advantages in a co-taught course where asynchronous e-learning is used. As there are no live presentations, there are no savings from having to give them just once. Course materials are prerecorded and so can easily be duplicated. With the students separated into two classes it will be much easier to ensure the student gets the correct assessment. The preparation of a sustainability strategy, taking into account any established corporate strategy, to be used as a basis for policies and planning, and covering both consumption and sources of supply of energy and materials. Evaluation and inclusion, as appropriate, of political, legislative, economic, social and technological factors. Identification of major external standards, practices or schemes to be adopted. Consultation with identified relevant parties, either internal or external. Obtaining agreement to the strategy and the commitment to act upon it. Contributes to strategy formation by providing in-depth analysis of one or more broad aspects of the organisation’s use of energy and materials, and by recommending elements of the strategy; provides in-depth advice in own area of expertise. Provides analysis of risks arising in the areas covered. Assesses and reports on how different tactical decisions affect organisational sustainability. Evaluates factors and risks (political, legislative, technological, economic, social) that impact on operational processes and strategic direction. From SFIA Foundation. (p. 32, 2015). The specification, planning and management of changes to assets, systems, processes or practices intended to reduce or constrain consumption and/or disposal of energy or materials, within the context of company strategy and policy, and regulatory and contractual requirements. The evaluation of changes to ensure that planned benefits have been obtained. The specification of remedial and process improvement actions in cases where planned benefits have not been obtained. The identification and planning of alternative sources of supply. Plans and implements new practices that ensure that sustainability matters are appropriately addressed in specification, design and operation of systems and services. Recommends methods, tools and practices to be used. Establishes organisation-wide practices for the disposal of materials. Sets standards for the conformance of components and services to efficient use of energy and materials. From SFIA Foundation. (p. 33-34, 2015). Determines the organisation’s approach to the assessment of sustainability and to the monitoring of the effectiveness of activities intended to cause improvements. Provides overall leadership in assessment activity around the organisation. Leads the introduction and management of measures to assess and report on sustainability and the impact of conservation activities. Ensures that the effectiveness and accuracy of the monitoring actions is kept under review, and that appropriate improvements are made. Assesses, records and reports on utilisation of energy and other resources, showing expertise in a given area such as a class of computing devices, or business travel. Provides advice on the improvement of sustainability in that area of expertise. From SFIA Foundation. (p. 43, 2015). The development and application of appropriate knowledge and methods to assure sustainability in all phases of the life cycle of energy- or materials-consuming systems and services, including maintenance and re-use. These include such things as energy supply risk analysis, specification of guidelines for sustainable procurement of assets and materials, energy efficiency and sustainability factors influencing system design, system design for sustainable operation and use, efficient coding design and adoption of re-use/sharing principles, achieving behaviour change to more sustainable ways of working, and the verification of energy and resource efficiency in operation. practices in sustainability. Influences organisation’s recognition of current and upcoming regulatory sustainability and efficiency obligations, national and international standards, and marketplace capabilities. Promotes and advocates for the organisation’s sustainability strategy for use of IT and Digital services including levels of sustainability, and encompassing, amongst other dimensions, travel, energy supply, consumables, waste and office provision, strategies, procurements and processes. Takes overall design responsibility for a project/system, ensuring that sustainability criteria, standards and best practices are adopted at all levels in the project, from the coding, hosting and tools used in building the system to the mechanisms adopted for testing and backing up the system in operation and how the project is run (eg team meetings etc.). Ensures business case options for design address sustainability and energy efficiency impacts. Investigates and recommends components and subsystems that meet sustainability criteria and levels. From SFIA Foundation. (p. 48, 2015). The postgraduate course was designed to align to "Sustainability assessment" SUAS and "Sustainability strategy" SUST. However, the course is not tightly aligned to these skills as the course was designed and run first and a copy sent to SFIA Foundation, who then created the sustainability skills. This should allow different skills definitions to be used with minor changes to the course. Works under general direction. Uses discretion in identifying and responding to complex issues and assignments. Usually receives specific instructions and has work reviewed at frequent milestones. Determines when issues should be escalated to a higher level. Performs a range of work, sometimes complex and non routine, in a variety of environments. Applies methodical approach to issue definition and resolution. Demonstrates an analytical and systematic approach to issue resolution. Takes the initiative in identifying and negotiating appropriate personal development opportunities. Demonstrates effective communication skills. Contributes fully to the work of teams. Plans, schedules and monitors own work (and that of others where applicable) competently within limited deadlines and according to relevant legislation, standards and procedures. Appreciates the wider business context, and how own role relates to other roles and to the business of the employer or client. to create a word frequency tables (tag cloud) of the twenty five most frequent words in each definition. The words which occur in both definitions and more than once in either are: skills, complex, demonstrates, level, and others. Adding synonyms would likely show more matches. However, one thing is clear, the AQF implies a much higher level of autonomy ("demonstrate autonomy, well-developed judgement and responsibility") than SFIA ("Usually receives specific instructions and has work reviewed at frequent milestones"). SFIA better reflects the real world, where a new graduate is expected to learn the practical aspects of the job under supervision. AQF expects an unrealistic level of autonomy of a new graduate. The Office for Learning and Teaching (OLT) is an Australian Government body which funds research to improve teaching at universities. The Australian government plans to close the OLT in mid 2016. There was a report "A New National Institute for Learning and Teaching" calling for a new body, based at an Australian university, but this has not progressed. In response Associate Professor Angela Carbone, Monash University has set up a petition "Save the Office for Learning and Teaching" calling on the government to either continue the OLT or proceed with the new center. While I support work to improve university teaching, OLT has not been very effective at doing that. OLT funds research, whereas what is needed is training. The problem is not that there is a lack of research on how to teach, just a lack of incentive to apply it in universities. A media report includes alleges Australian private training providers awarding certificates without carrying out adequate assesment ("Concerns over 'tick and flick' qualification companies 'rorting' RPL government-funded training scheme", ABC News, 16 April 2016). RPL (Recognition of Prior Learning) allows accredited trainers to issue a certificate and charge the student fees (funded by the government VET-FEE-HELP scheme), without the student having done any training. However, there is still supposed to be an assessment of the student's skills, to a level equivalent to that for students who undertake training. The integrity of Australia's vocational education and training (VET) sector is important to the community. VET involves the expenditure of billions of dollars of public money (with student fees subsidized by government). Also the safety of the public depends on having skilled workers, as the VET sector certifies workers who undertake safety related tasks. If VET assessment is not correctly carried out then the public is at risk. The VET sector also has potential for an expansion of export of education, alongside university programs. China is planning to spend $15bn on two million redundant workers from state-owned enterprises ("China to shed 1.8m coal and steel jobs", Yuan Yang, 29 February 2016). This includes retraining for workers. Australian RTOs could retrain some of these workers, or train the trainers. RPL is is a legitimate part of training. The student has to present evidence that they have the required experience and it meets the requirements for the skill being assessed. As an example, I obtained a Certificate IV in Training and Assessment (TAE40110) partly by RPL. The assessor first discussed with me what relevant experience and training I had and then suggested which VET modules would be suitable. I then had to find evidence of each. This required not only documents, but people to attest to what I had done. It was a difficult and time consuming process, not a "tick and flick" exercise. Also I was not able to obtain a whole qualification by RPL, having to also do several training modules and be tested on these. 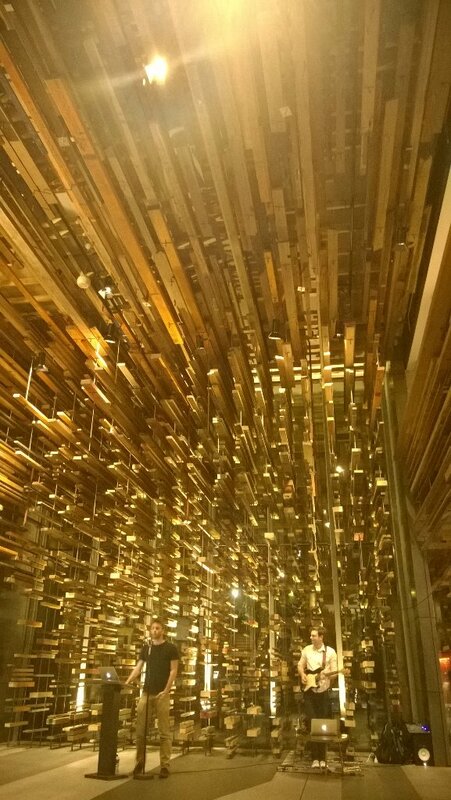 The University of New South wales (UNSW) has announced that the Chinese Ministry of Science and Technology will back a "Torch Innovation Precinct" at UNSW in Sydney. This will be the first Torch High Technology Industry Development Center, under the Chinese Government's Torch program, outside China. The Torch program aims to get new, high value businesses going within three years (Segal, p. 32, 2003). It will be interesting to see if the rapid Torch approach can be applied within an Australian regulatory environment. "... Torch Center seeks to achieve four major objectives by cooperating with other pertinent authorities at central and local levels. To mobilize innovative resources including capital, technology and talent to reinforce support for innovation and industrialization. To encourage the globalization of high-tech industries." From Mission: Torch High Technology Industry Development Center Program, Ministry of Science and Technology, China. Segal, A. (2003). Digital dragon: high-technology enterprises in China. Cornell University Press. Greetings from the Australian National University in Canberra, where Dr Megan Bowman from King’s College London is speaking on "What does the Paris Agreement mean for private finance actors in the global response to climate change?". Dr Bowman pointed out that the Paris Agreement on climate change has provision for non-nation state actors, which can be cities, regions and companies. One difficulty I have is that the Paris agreement does not contain sufficient actions to achieve the stated aim of a 2 degree increase in temperature. Even these commitments by nation states are not binding, in that there is no penalty for not achieving what they promised. The money to help developing nations are also not committed. The money from the private sector is not firm. As Dr Bowman pointed out probate companies will act on climate change when it is in their own self interest, in particular banks, insurance companies and pension funds. However, I suggest that nation states will also only act in their own interest. So a better approach would be to craft an international agreement where it is in the interest of each individual party to act. As an example, rather than developed nations "give" money to developing nations, it should be recognized that these are investments which the developed nations expect to receive a return on. It would be better if this self interest was explicitly recognized, rather than being hidden, as it is at present. This approach might use some aspects of Islamic banking: rather than giving a soft loan to a developing nation, the developed nation would be come a partner in the investment. The question then is how to get nation states to act in the public interest, or in the case of companies, to act in the long term interests of their owners, not in the interests of the politicians and managers in power for a brief time. Given that the Panama Papers show government officials funneling funds to offshore accounts and companies acting dishonestly in the short term, it is difficult to see how any world order can make them act ethically in the long term. Unless there is something like a carbon market, which converts public interest into individual private interest, it is difficult to see how there could be changed. Greetings from Unconference Canberra, where the Code Cadets students from Canberra Grammar School showed a video of their tour of silicon valley. The video was fun, but what was more impressive was the way the students were able to talk about what the saw on the trip to hi-tech companies. The Australian Computer Society is hosting a "Do you want to teach Coding at your school?" workshop in Canberra, with "Code Club Australia", 19th May 2016. "Code Club Australia is a nationwide network of free, volunteer-led, coding clubs for children. We create projects for our volunteers to teach at coding clubs. The projects we make teach children how to program by showing them how to make computer games, animations and websites. Code Club is about fun, creativity, and learning through exploring. It’s important that the children enjoy their time at Code Club. They should understand that they’re in charge of the computer, and can (and should) make it to what they want, not the other way around. Other benefits of Code Club, such as learning about computational thinking, or developing expertise in coding, are secondary to these two objectives."